The Olyvenfontein Ranch is owned and run by the family, Deon and Francie Taljaard, their sons Izak and Gert and their wives and children. 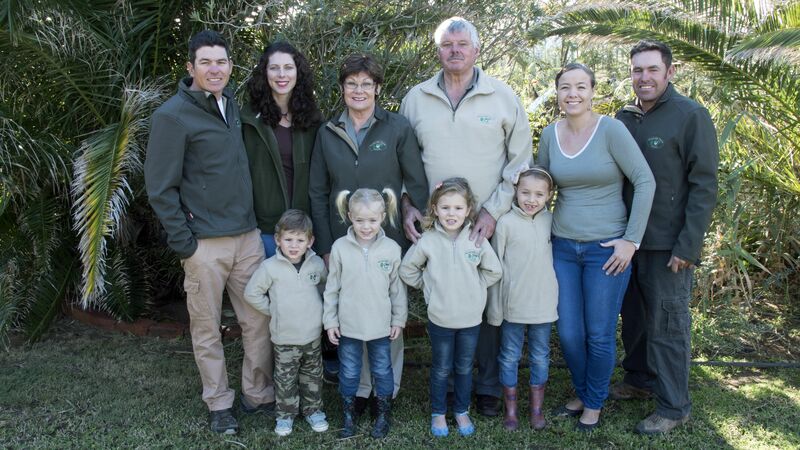 The entire family lives on the ranch which ensures personalised and exclusive service to you. Noorsveld Safaris is situated 160 kilometres (100 miles) North West of Port Elizabeth. Noorsveld Safaris is a trophy hunting outfitter and farming business. Part of our operations on the ranch is a registered game abattoir and meat processing plant. The products are sold at our Noorsveld Farm Stall in Jansenville and are distributed to delis countrywide. 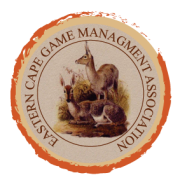 A priority in our enterprise is nature conservation and effective management of wildlife through sustainable and ethical hunting practices. Enjoy our comfortable lodges and relax around the swimming pool or campfire in the evenings. Exceptionally enjoyable farm-style cooking meals are personally prepared by staff and the family. Wildlife Ranchers of South Africa.